But the real reason that Rocksteady’s forthcoming game is rated Mature appears to be violence. Most shocking is the fact that players can shoot unarmed characters and a hostage at some point in the game, as that’s not the sort of behaviour you expect from a morally upright hero like Batman… Did the many years of costumed vigilantism took their toll on Bruce Wayne and make him abandon his “no killing” policy? And most disturbing of all is the fact that, according to the ESRB’s description, “one room depicts a person torturing a character”. Games like GTA V were controversial for having torture scenes, and such a depiction of torture could make Rocksteady’s upcoming game one of the most violent video games around. And those of a sensitive nature might also be offended by swear words like “b*tch” and “a*s”, which appear in the game’s dialog. The game has a provisional rating of PEGI-16 in Europe (suitable for ages 16 and up), which is slightly less restrictive than the ESRB’s ‘M’ rating in the U.S. So it appears the European censors have been more lenient than their American counterparts this time. 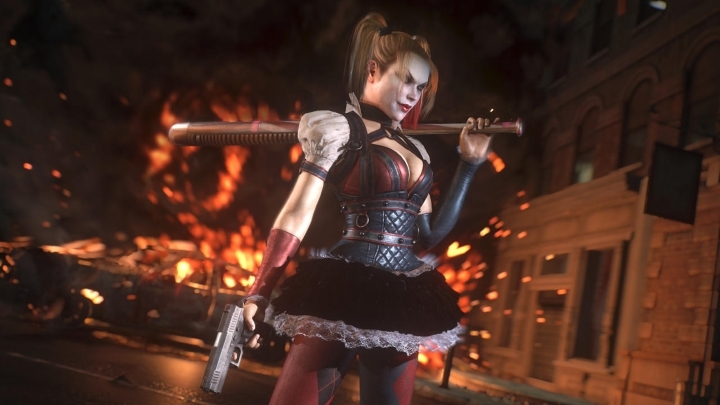 But if one thing is clear, is that harsh language alone won’t be enough to deal with the squad of supervillains that will be after Batman’s hide in Arkham Knight (villains that feature in the game’s trailer below), so it is not surprising that the Dark Knight had to toughen up. But still, the silly and charming tone of the previous games, which were rated ‘T’ (for Teen) is what made them appealing to many gamers, and Rocksteady going all dark and gritty for this iteration is something that could backfire. Note: Batman: Arkham Knight will be released on June 23, 2015, on PS4, Xbox One and PC.